Total time = about 30-45 minutes to casually find the jobs, pay for them and describe what I wanted to each of them. and receive a business card design in printable format. Colors – Please stick with the color theme on the website (visible here: http://immortal-test.mycms.com.au/) and in the logo. OK that is really really ugly. Can I get a complete redesign, this time focusing on the brand (this is a card for my website, on which my details are present. 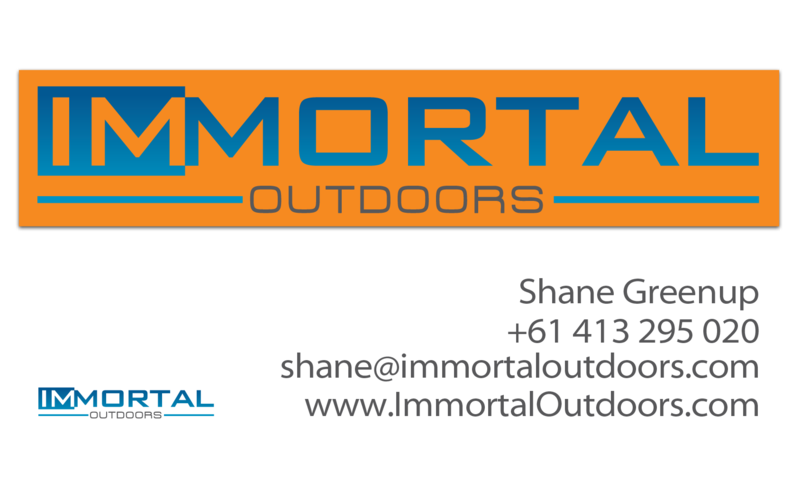 Like most ‘Business’ cards) also actually sticking with the colour scheme and theme of the logo and the website I directed you to. ok no worries communication is key i will do a complete re design you should have results soon. Iamabdus delivered second. Now I have had a gig delivered by Iamabdus previously, he designed the logo for The Traveller’s Trade, which was quick and effective, so I was already quite happy with his work. I was hoping he could deliver just as effectively on the business card design too. 3. 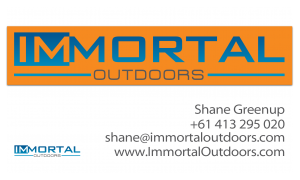 The card is for the following website: http://immortal-test.mycms.com.au/ Take design elements from that as inspiration. Is that enough? Which is immediately better than the previous efforts by the last designer, and I sort of like it, but it doesn’t stay true to the overall colour theme of the website, so I wasn’t sure. Plus it was only one side of the card, and I really did want a double sided card design. So I was thinking that Iamabdus is definitely ahead at this stage, I would await the results of designer 3 before deciding on what to do. OneReam was the final designer expected to deliver, advertising a delivery period of 5 days to deliver, but after 6 days nothing was heard from them, so I messaged them asking if they were there.. 6 days later I got a message saying that they had had a family emergency, and asking if I wanted them to proceed or not, so I said “Sure, why not” and awaited the delivery of my designs. Within 24 hours of that message, I got her designs. This time, instead of just getting a PNG file (like the previous two designers), she provided a zip file filled with print ready PDFs and adobe illustrator working files (and fonts used), and not just for one design, but two designs of a double sided card. All provided for MacOS as well as PC. So that was quite impressive. Better still, the designs were actualyl pretty good! They kept to the colour theme of the website, and focussed on the website logo and domain, while still providing my personal details in an effective manner. Anyway, so they were the results from my 3 Fiverr gigs. I was going to pick the best and give them the specifics that I wanted, but I have decided to just make some slight changes to the last set of designs, since I am mostly happy with them. I have just added three new walks to TDMSKP from a recent trip I took to the Lake District. We stayed in Waterhead, just south of Ambleside in a YHA. From there we had a huge day, completing all three of these walks! First we walked to Troutbeck, then up to Wansfell, then along the ridge to Wansfell Pike, and on down in to Ambleside. ON the way in to Ambleside we quickly walked through Stock Ghyll Park, taking plenty of photos of the beautiful waterfalls in there. After a nice relaxing lunch we started on the second major walk, heading towards Rydal Hall, then on to Grasmere. The return half of the circuit took us to Rydal Cave, which was quite spectacular. Been doing a bit of canyoning lately, and so I have updated the guide article entries on Dalpura Canyon and Kalang Falls. I have also added entries for Boyd River Camping Area and Kanangra Boyd National Park. 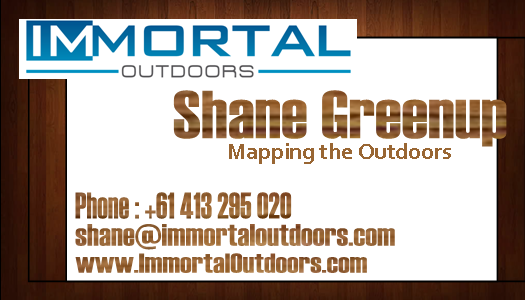 In other news, I am still a bit stuck with Immortal Outdoors. Working on it still though. I will make this site, and it will be worth the wait. I am also working on the website schematic plan for the Helping People website. I was able to find someone who offered to build it with me, so we might as well throw it up and see what happens. All in all, lots of stuff happening. I’ve just added four new campsites to TDMSKP. First there was Warri Reserve, North-west of Braidwood. Then Charleyong Crossing, North of Braidwood. Oallen Ford then, North-east of Braidwood, and finally, Endrick River Campsite, which is South-west of Nowra. 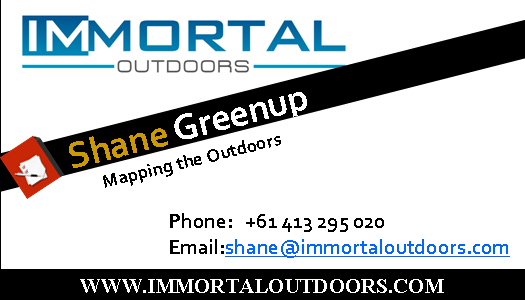 Getting as many campsites into Immortal Outdoors as possible will be a major priority for it once it is launched, since so many outdoor activities come from the ability to camp somewhere. I also added an article for the Grotte d’Anjohibe the other day too, but I was unable to visit these caves myself, so the information provided on TDMSKP is necessarily quite scant. Oh, and of course I created an entry for Riverwood Downs because I was camping there over the long weekend – I hope to get many more articles created for activities in the Barrington region because I think the area is quite spectacular. I have finally just added my first guide article from my trip to Madagascar last year to TDMSKP. Not my favourite site on the trip, but the first on ein my book, so as good a place to start as any – Cirque Rouge, near Mahajanga. It is a large erosion ditch really, but the soils are so colourful that it has become a small tourist attraction. Not that you can really tell. There is really no development there, and you felt pretty alone the whole time walking there and back; so there was definitely no concern about over-development in these parts! I have been delaying adding guide articles from my trip last year because I was waiting for the new version of the website to be launched, but that is taking significantly longer than originally hoped or expected, and so I might as well work on these smaller projects while I have the time and space to do it. I am going to try to keep adding a new article each day that I am at home. Hopefully that rate will be able to keep up with my rate of activity too! I’ll be away for the weekend – Camping up near Barrington! Just a quick post to say that everything is on track and doing really well lately. I am actively working on a major development for Sports Arbitrage Guide which I really hope to have in place in the next month. Following that I will be working intently on the new embodiment of TDMSKP.com which will be huge too. So I am very busy at the moment, and hope to be making more posts in the near future as I have some actual results and announcements to make (rather than filler posts). Wow. That is a big deal. After almost three years of working and ignoring and procrastinating on this website – it is almost finally complete. I have about 4 more pages or articles to write for it and then I will be at a point where I can’t think of anything else that needs to be added. No doubt more posts will be made to the blog as news comes up and small details change from time to time, but ultiamtely, the core content of the website will be complete. My current plan is to complete these last few articles. I will then get Klaus to re-do the flash menu for the site to account for all of the new pages I added to it. And then finally, I will go through all of the pages one more time (for a while at least) and re-read and edit them all carefully AND add small images, cartoons and pictures to each page to help break up the wall of text that you currently encounter on each page. With that done, it will be complete complete. Ongoing maintenance will simply consist of updating the alert services listing, the free trials and the accesories page. The occasional blog post will also be made, but from then on it will almost entirely just consist of random news announcements. Anyway, this is pretty exciting. With a complete Sports Arbitrage Guide website I will be able to focus my efforts onto the redevlopment of TDMSKP. Klaus is dilligently working away on the database system behind the new wiki right now, and will shortly be moving on to integrate the map with the wiki. I have sorted out a colour code system for the wiki finally, but I think I will need to sort out specific details for most of the articles so that each one can be entered into the wiki with a range of important specific information. That being said, i think the most important thing I can do is ensure that it is easy for Klaus to continually update those elements in the wiki over time, so I can get user feedback to indicate what information is required for each activity, sport and location article.